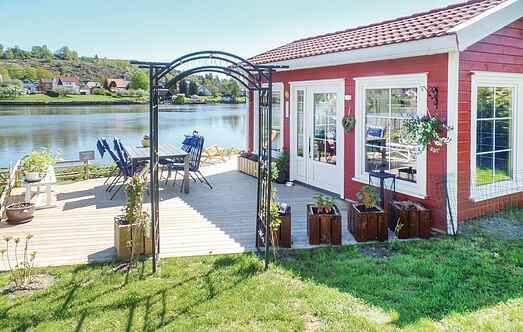 Find a vacation home to rent in Fredrikstad Municipality from our list of vacation rental properties. Campaya has over 5 vacation homes available in Fredrikstad Municipality, which give you the possibility to locate a unique accommodation in Fredrikstad Municipality which completes your check-list in search for the perfect self catering vacation apartments in Fredrikstad Municipality or vacation villas in Fredrikstad Municipality. Small and idyllic holiday home in a fantastic location with a beautiful view. From the terrace you can jump right into the water or watch the beavers in the water in the evening. This cosy holiday house offers the beautiful view of Oslofjord. The house has a wonderful terrace and a path that leads directly to the beach. Oslo and Fredrikstad are not far away. Nice holiday house located on the country side. Swimming & fishing on the beaches and in the beautiful skerries. Golf & cultural activities. 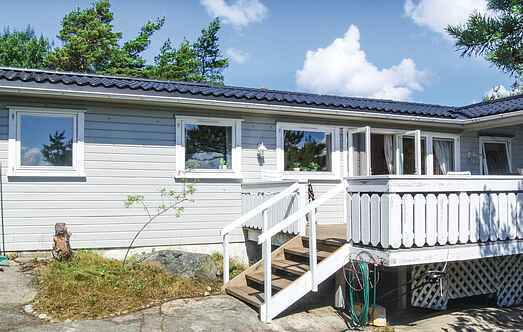 Neighbor: 20 m.
This lovely holiday house offers a panoramic view of the Oslofjord. The house is located right on the beach. Enjoy great swimming and fishing facilities. Nice holiday home in Fredrikstad. Here you can enjoy panoramic views of the Oslo fjord from one of the terraces. On hot summer days, it is tempting to stroll down to the water for a swim.